Residence halls are more than just places to sleep. They are communities where students get involved, become a part of the vibrant Aurora University student life and develop meaningful friendships. As a resident, you will have easy access to classes, study groups, the library and campus activities. Living on campus is the best way to learn to balance academic and social aspects of college life at AU. 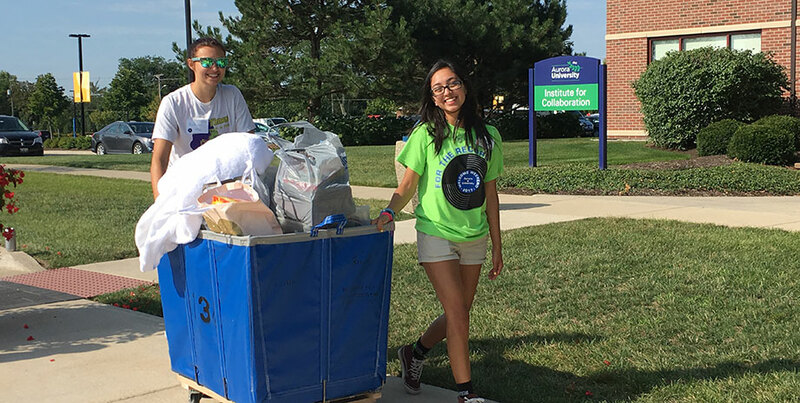 The Office of Residence Life helps to foster community, plans social and educational activities in the residence halls to meet students' needs, and provides resource assistance. The primary goal of each Residence Life staff member is to aid residential students in every phase of their adjustment to university life. Accepted Students: Secure your spot in one of our residence halls by completing a housing contract and making your deposit. Housing space on the Aurora University campus is limited. As such, residence hall housing is reserved primarily for first-time freshman students and current residence hall occupants who want to return for another year. Transfer students are welcome to apply for on-campus housing, but residence hall housing is not guaranteed. In addition to making an application, each transfer student requesting residence hall housing must complete, and follow the directions for submission of, the Transfer Student Conduct Check Form, as well as be interviewed by the Dean of Student Life and/or a member of the Residence Life staff. Housing decisions for transfer students will be made on a case-by-case basis, based upon space available and other relevant and lawful considerations (such as the student's disciplinary record, if any, at prior institutions). The University reserves the right to deny on-campus housing and recommend alternative options. For access to the online Transfer Housing Application and the Transfer Student Conduct Check Form, please click here. Additional off-campus housing information can be found here.